What Future for Britain’s Family Farms? For the Oxford Farming Conference’s annual debate this year family farming was put under the spotlight. The motion suggested that the biggest threat to the family farm is the family farm itself and, perhaps surprisingly, attendees voted in favour of the motion by 182 to 157. Had the debate been held down the road at the Oxford Real Farming Conference I suspect the result would have been different. I find it quite incredible that family farming, the bedrock of the rural economy and rural society for centuries, should have been anathematized in this way, but the result was clear. Why did delegates turn their backs on an institution that runs to the heart of how we understand the countryside? A lot of it came down to farmers wanting farming to be about business first, viewing family dynamics as an obstruction. Matthew Naylor, a flower grower from Lincolnshire, opened the debate and claimed that his problem with the family farm structure was dealing with relationships between family members and the hierarchies that naturally exist within families. It is bizarrely common for the ninety year old matriarch to rule the roost and have ultimate power, while her sixty year old sons follow her bidding. This wouldn’t happen in other businesses. However, as NFU Vice President Guy Smith said, it is the human element of agriculture that makes the industry what it is. Farming is about more than just food production. Family farms have become a central entity of the fabric of our perceived rural culture and society. If they were to disappear, the countryside would look and feel fundamentally different. Of course, ‘family farm’ is a vague term that acts as an umbrella for a wide diversity of businesses. Family farms can range from plots of a couple of acres worked part time by a family member in a subsistence fashion to large estates owned, occupied and managed by a single family. Large or small, these family farms have shaped the British landscape and rural society for centuries. Without the skills and determination of these people, Britain would look very different. It is a sector of society that everyone assumes will always be there, but this is far from guaranteed. Faced with challenges such as the rising price of inputs, fluctuating global prices and the impact of climate change, family farms are struggling. Economically they sit on the fringes of black and red and many survive thanks to a good relationship with the bank manager. In June last year Professors Matt Lobley and Michael Winter from the University of Exeter produced a report, funded by the Prince’s Countryside Fund, which asked whether there is a future for small family farms in the UK? They recognised the threats that small scale family farmers face and made a series of recommendations for both farmers and the agricultural sector more broadly. For farmers these included developing good technical and managerial skills, making a clear succession plan and collaborating with other farmers and supply chain partners. They suggested that the agricultural sector needs to provide more advice and support for farmers, especially encouraging and supporting younger farmers who are entering the industry. Governments could do far more to support family farms. People complain about the Common Agricultural Policy but rarely look at the detail when it comes to how the pot is shared domestically. Back in 2014 Environment Secretary Owen Paterson (love him or loathe him) took the decision to place a cap on the amount of land an applicant required to receive basic payment (or single farm payment as it was then). This was set at 5 hectares, which excluded 16,650 holdings across England from claiming any sort of subsidy support. This decision was taken in order to prevent ‘hobby farmers’ from claiming taxpayers money, but as the Landworkers’ Alliance have argued, many active farmers work small areas of land productively, choosing to sell their produce locally. They stay in business despite, not because of subsidy payments. This could not be said of several large farms. There are opportunities for family farms and I think that, in future, farmers will increasingly see themselves as rural entrepreneurs, embracing new technologies, selling direct, diversifying into non farming side businesses and galvanizing rural tourism. This is certainly the agenda for many millennial farmers rising through the ranks. These young entrants need to be supported, and their enthusiasm tapped in a way that is ultimately beneficial for rural Britain. They need start-up capital, mentors and support from consumers. Critically, older farmers need to plan with the younger generation in mind and formulate a clear succession plan. Of course, not all family farms are the ‘Edenic’ entities that the label suggests. Small isn’t necessarily always beautiful and we shouldn’t label all larger farm entities as evil monsters that abuse the environment and steal subsidies. This quite simply isn’t the case. There are always exceptions and it isn’t useful to sledge abuse and to see farming in a bipartisan manner. There is room for diversity in the sector and this should be embraced. However, support must be fair and regulation should be in place to ensure that all are working to protect wildlife, soils and preventing run off to water courses, along with the myriad of other things covered by cross compliance. 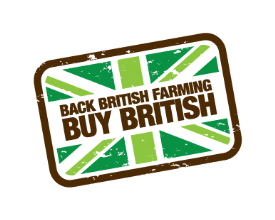 This said, those who are at greatest risk of losing out in the countryside are the smaller scale family farms and Brits need to support them if we wish to see a future for this type of farming. They must not be forgotten in post-Brexit Britain. Ben Eagle is a guest writer for Country Squire Magazine. He writes about food, farming, the environment and sustainability. Elsewhere, he has written for Farmland Magazine, Rewilding Britain and the Sustainable Food Trust. His website www.thinkingcountry.com was recently named a finalist the 2017 UK Blog Awards. You can follow him on twitter @benjy_eagle or join the thinkingcountry facebook page.